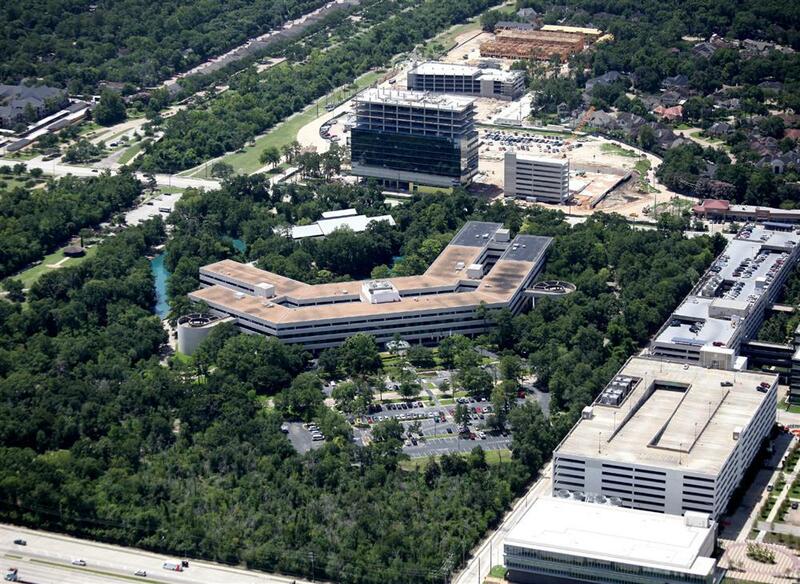 HOUSTON – As the first phase of a major development, Third Palm Capital has engaged Boxer Property to repurpose and lease the existing office buildings on the former Exxon Mobil Chemical headquarters campus in Houston’s Energy Corridor. Christened Republic Square, the 35-acre project is located on Interstate 10, west of Eldridge Road adjacent to Terry Hershey Park. After purchasing the campus from Exxon Mobil Corp. for $72 million in late 2013, Third Palm – the sole owner of the property – leased back the campus to ExxonMobil through April 2015. It is one of the properties vacated by Exxon Mobil when the energy firm built its new 3 million SF campus on the north side of Houston. In the future, Republic Square will have hotels, office buildings, multifamily and retail development, says Third Palm, which is controlled by Dart Enterprises, a Cayman Islands firm. A rapid decline in oil prices derailed a number of projects in the Energy Corridor, however, and Houston office vacancy has soared. The Houston office market is flooded with sublease space and the city’s office availability rate is at its highest point in 20 years, according to CBRE. The Republic Square campus, 13501 Katy Freeway, is heavily wooded with prime frontage along both Memorial Drive and I-10. Previously, the property had been largely secluded under Exxon’s high-security protocols. Current amenities on the 35-acre site include a central lake, 20,000-SF meeting and event center, and Republic Square I, a 320,000-SF office building with commissary kitchen. Houston-based Boxer Property has been awarded the leasing and management assignment and is overseeing a program of enhancements to introduce these facilities to a diverse mix of tenants of all sizes, as well as neighbors and guests, later this summer. In anticipation of the debut, preparations are underway to open Republic Square’s park-like grounds with central lake to the public. The existing building being reimagined to support tenants of all sizes, as well as collaborative work spaces. The majority of interior updates are being focused on Republic Square I. The building’s striking and expansive lobby, which leads to a glass-walled lake overlook, and its gallery-like, outdoor-oriented public areas are being renovated. Boxer Property will also introduce its signature Workstyle collaborative space featuring common area lounges, meeting spaces, coffee bars and Wi-Fi. Third Palm Capital, the owner and developer of Republic Square, has over $750 million in assets and active investments in New York, California, Florida, and Texas.